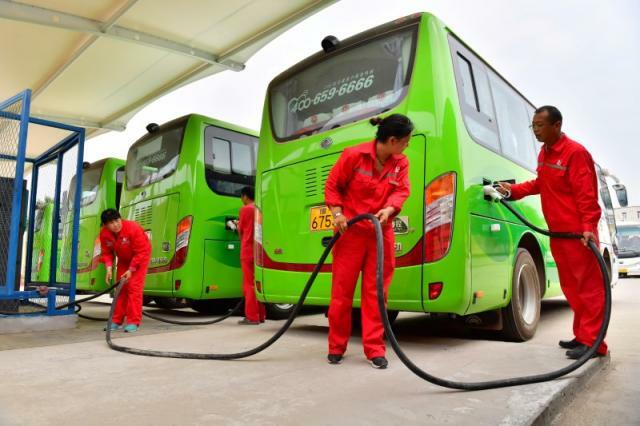 The Public Transport Authority of Alexandria is preparing to receive 14 electric buses in mid-May, to be supplied by the Chinese international company BYD, al-Mal news reported. Omar Suleiman, chairman of the board of directors of the al-Amal Company for automotive manufacturing and assembling, which is BYD’s agent in Egypt, said that during these past months Alexandria’s transport authority tested the first electric bus supplied from the Chinese company BYD. Alexandria’s Public Transport Authority received the first electric bus in October 2018, which was tested for a period of up to three months. The transport authority announced in 2017 a public tender for the supply of 15 electric buses. Seven international manufacturers applied for the tender, which was won by BYD in January 2018. The tender value is estimated at US$40 million and includes the 15 buses, the opening of 15 freight stations for these buses, and the establishment of a service center for the maintenance and provision of original spare parts for the duration of the warranty. Suleiman called on the government to officially announce a plan to replace traditional transport vehicles with electric vehicles, in order to protect the environment from pollution, similar to what European governments are doing.